Will I end up with a new headlight seal, or the headlight irretrievably glued into the fender? 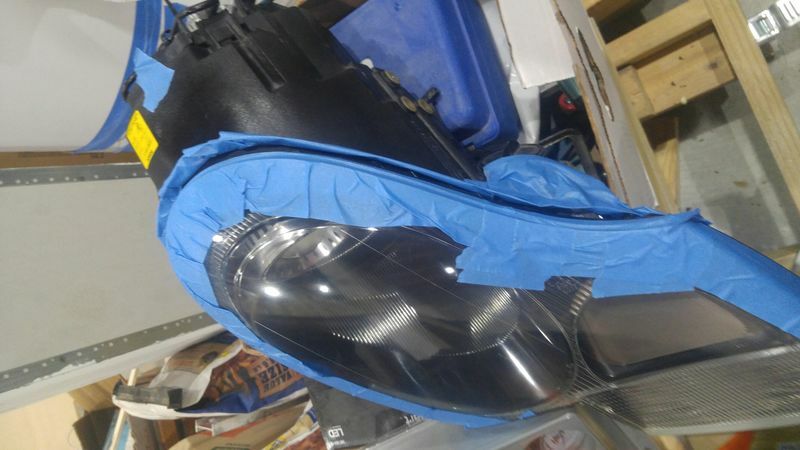 I've been working on headlights and of course the seals have turned into something resembling decomposing tar, but without decomposing tar's redeeming qualities. So I've been thinking on making my own, not necessarily identical to stock, but at least a seal, and using better material would be nice. This is my first attempt. Enter my painting and home repair skills. Surely Home Depot has something that would work as a seal, they have everything else. Sun resistant RTV oh yeah, if I can form a seal out of that then I'm good for 30 years if the GE marketing team is telling the truth. But where to get the other half of the mold? So it is currently curing in the garage as I type. 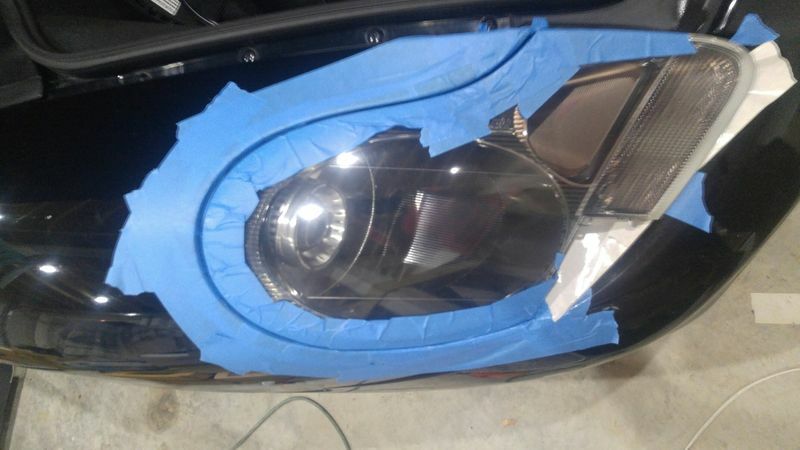 Did I just glue my headlight into the fender, or find a way to make a new gasket? If it works out, could I send you a couple of rolls of painter's tape and you can fashion me a set? Neat idea, I hope it works out for you. 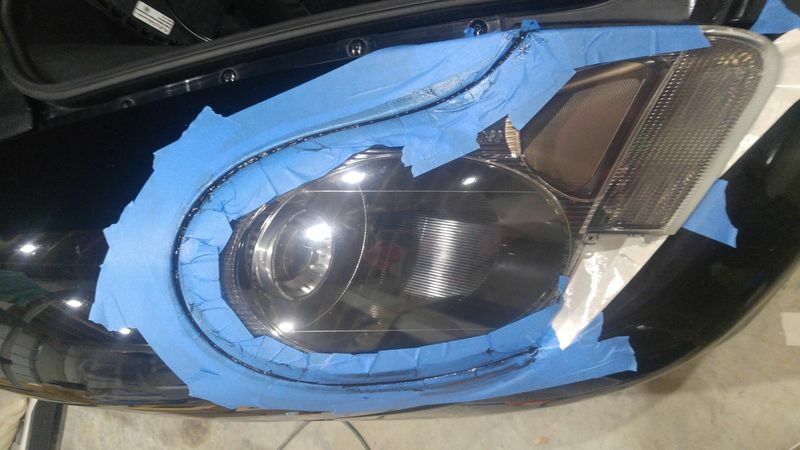 I bought a set of used headlights, and the previous owners had used a strip of rubber seal with a right angle bend and just glued them on and cut to length. They fitted and worked well, I didn't even notice they weren't original until I came to remove them to open the lights. Sure you could get something similar from a homeware store. I don't think this will work very well. The silicone will fall apart first time u go to change a bulb. You gave it a good try, any pictures or did it just fall apart when you took the tape off. 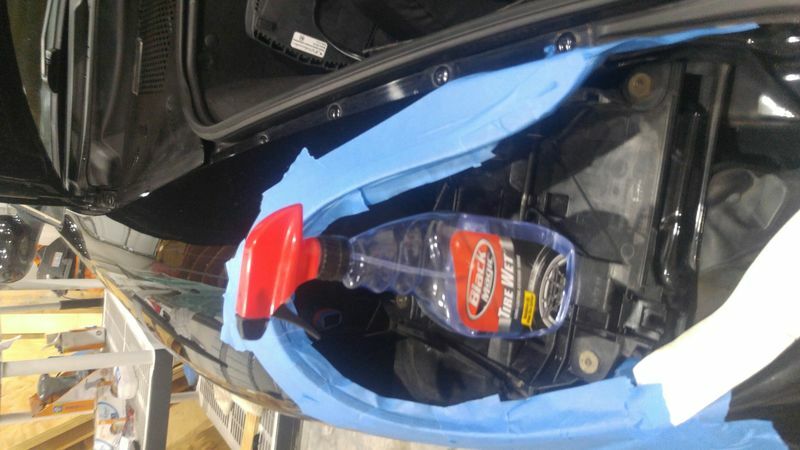 You have my respect for trying I took the seal completely off my headlights. There were a couple of problems. The silicone stuck to the tape despite the "silicone release agent" I used. It would tear before releasing from the tape. I think I could overcome that, but the real problem was the final finish of the silicone would be uneven and stick out like a sore thumb. 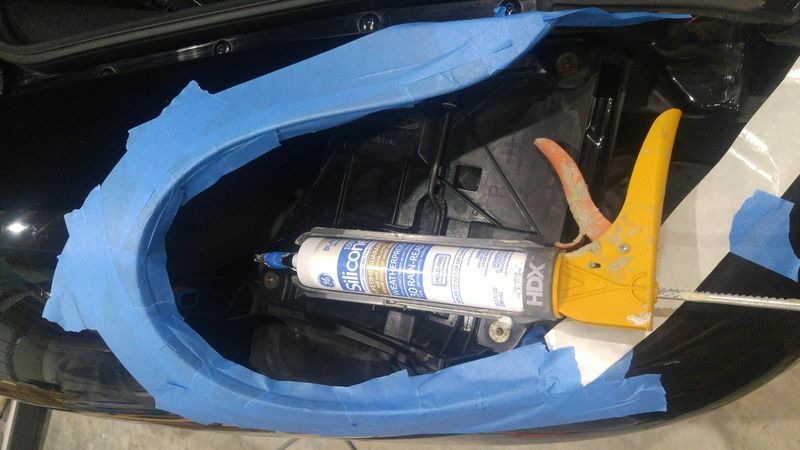 It's OK to have that unevenness in a bathtub install, but sitting between the smooth shiny fender and light it was clear it would be very noticeable. Like I've advised before, find a used set with good seals (or buy a brand new set of headlight for $800 ) and use those. Then sell the headlights you just bought. Just make sure sure that you note in the sale that the headlights have no seals. Sometimes, you can break even. 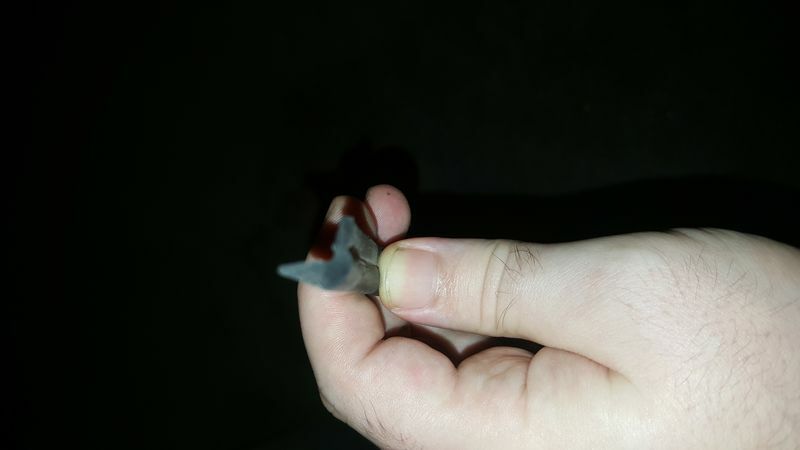 At the most, you might be out $100 for your new seals. It's risky, requires an initial investment and is time consuming. Foam rubber insulation weather stripping from Home Depot is better than nothing.